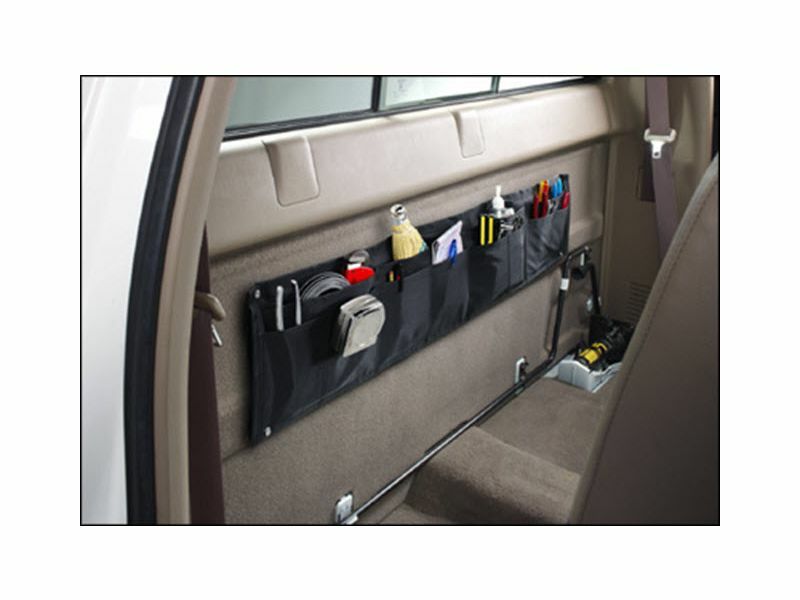 This Pickup Truck Cab organizer is a must for all pickups. It mounts easily to the back of the cab. Keeps items from rolling under the seats and in easy reach. The divided net keeps stored items neatly in place. This Pickup Truck Cab organizer is a must for all pickups. It mounts easily to the back of the cab. Keeps items from rolling under the seats and in easy reach. The divided net keeps stored items neatly in place. Fits all pickups and SUV's.